Graphite has been called 'the future' and 'a must own stock' for its unique strength and conductivity, for its potential use in high-end electronics, aviation and lithium batteries. MINING.com recently spoke with Valterra Resource Corp (CVE:VQA) president Fred Sveinson about graphite, graphene, and Valterra's flagship graphite project in Bobcaygeon, Ontario. Sveinson provided a brief market background, explaining that Chinese producers have long dominated as they have in rare earth metals. Because of significant domestic consumption in China, the government has "made it more and more difficult for Chinese companies to export…they've put a 20% export tax and a 17% VAT so that they'll try to sell it within their own country." "Of course the end users around the world have got concerned about that, and they've started looking for other sources of graphite over the last several years and hence the renewed exploration around the world for graphite." Valterra's flagship project, Bobcaygeon, covers over 160 sq. kilometres and is located 167km from Toronto. The metallurgical results were positive, including big flakes, high grade, and good purity (around 94%). The company also conducted a geophysics program on 1 sq. 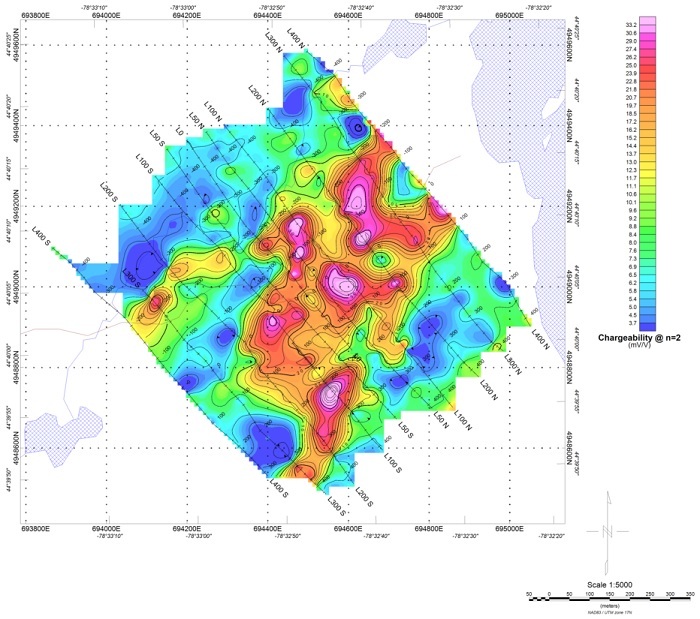 kilometre of the property to assess the chargeability of the graphite (results in the image above). Read more about the Bobcaygeon property here.